Held every four years for more than 32 years, GAY GAMES, a hymn to love, advocates a society for all diversities. Paris is the perfect host to celebrate this 10th edition, which is expected 10,000 participants from over 80 countries! Supported by the highest French institutional and sporting bodies, PARIS 2018 prepares games celebrating diversity, respect, equality, solidarity and sharing. Discover the highlights of the first day of #GayGames! Follow with us the preparation of the 10th Gay Games opening ceremony in Paris. More than 11 000 LGBT + athletes or supporting the fight against any kind of discrimination are gathered together for a cultural and sport event. Their goal is the fight against all form of discrimination starting with homophobia. Nobody here is excluded. No minima are required to participate and there are no gender selections. American Idol Agora Vox will end the show with the light the flamme of the Gay Games. What’s happen in the backage on the photo shooting for our new visuals? The answer is here! Many thanks to all the participants for this great afternoon! From August 4 to 8, 2018, Paris will host the 10th edition of the Gay Games, the largest sporting, cultural and festive event in the world open to all! 15,000 athletes from over 70 countries are in Paris! Paris 2018 is preparing Games that will celebrate diversity, respect, equality, solidarity and sharing. 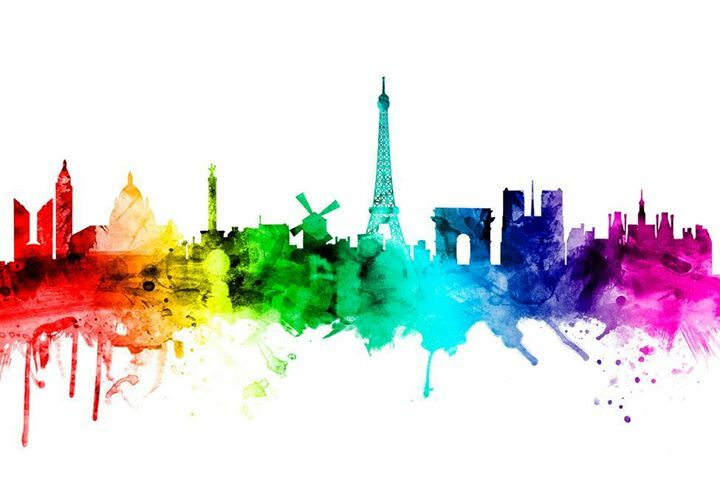 “The Paris 2018 team ” allow you to discover those that prepare the 10th edition of the Gay Games. Having responsibility or just giving a simple helping hand in the organization of the event, each volunteer is important, every little bit helps. Adeline offers to Paris in 2018 her skills in communication and graphic animation in the social networks. Volunteering in the communication hub for several months, Adeline is part of the active volunteers of Paris 2018. Antoine puts Paris in service in 2018 relational skills in coordinating small hands of the organization of the Gay Games. Responsible for the Volunteer pole for several months, Antoine is one of the active volunteers of Paris 2018. Christine brings to Paris service in 2018 his enthusiasm and young availability restated for the organization of the Gay Games. Volunteer for several months, Christine is one of the active volunteers of Paris 2018. Manuel, volunteer president of Paris 2018 is the brains behind the organization of these games. Recognized player of the LGBT cause in France and in the world, it completely implies that these Gay Games are magical and unforgettable for these participants. Clémence rights activist trans people* and the inclusion of all in sport, puts the Paris service 2018 his time and ideas to the organization of the Gay Games. Volunteer for several months, Clémence is one of the active volunteers of Paris 2018. Sylvio is licensed in several sports associations LGBT and wants fight against all forms of discrimination. Volunteer in Paris in 2018, as well as the filming photo shoots, Sylvio is one of the active volunteers of Paris 2018. Sylvain offers to Paris in 2018 his relationship skills as organization to prepare a beautiful village in 2018. Volunteer of the direction of the festivities for several months, Sylvain is one of the active volunteers of Paris 2018. Laura, Director Inclusion and Sustainable Development are the youngest of the steering committee. Still a student until June 2016, his free time is devoted in part to the organization of the Gay Games.